We cordially welcome you to our new and luxurious skin care spa and beauty store located in the heart of little Tokyo in downtown Los Angeles. Our Board Certified Aesthetician & Instructor provides numerous skin care treatments designed with the highest standard of treatment techniques. Our Aesthetician will carefully analyze your skin and customize a treatment to enhance your natural beauty. We also carry the finest collection of brand name skin care and cosmetic products from around the world. Experience the essence of tranquility. Revitalize your skin and indulge in pure relaxation. Extending GROUPON for Cosmetic Gallery! 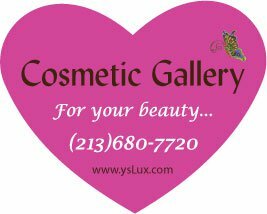 We cordially welcome you to luxurious skincare spa and beauty store. Our Board Certified Aestheticians and Instructor provides numerous skin care treatments designed with the highest standard of treatment techniques. Cosmetic Gallery. Awesome Inc. theme. Theme images by merrymoonmary. Powered by Blogger.